Michael is widely acknowledged as one of the top producers of classical music recordings in the world and holds a Grammy Award for Classical Producer of the Year. 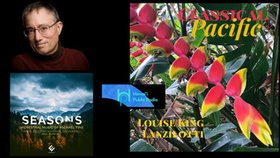 He has numerous best sellers to his credit including Gold and Platinum recordings in several countries. Additionally, he has been artistic manager of orchestras including the Rotterdam Philharmonic, Orchestre Philharmonique de Radio France, Seoul Philharmonic and Gergiev Festival Rotterdam. As a clarinetist, Michael is a regular performer at Festival Mozaic and the Tongyeong International Festival and has performed chamber music on three continents. Michael began composing after age sixty calling it ‘the natural evolution of everything I have done in music.' 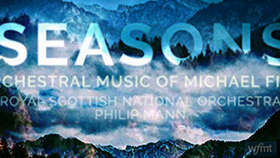 A recording of his orchestral music with the Royal Scottish National Orchestra was recently released by the French label Evidence. 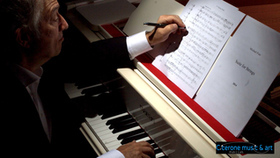 In 2017, Michael was named Composer-in-Residence at the first edition of Habana Clásica, Cuba's first international classical music festival, a role he repeated in 2018. 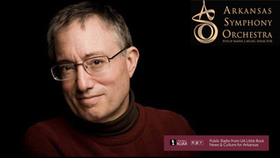 Widely acknowledged as one of the top classical recording producers in the world, seven-time Grammy Award winner and Classical Producer of the Year, Michael Fine has held the post of Vice President of Artists & Repertoire at Deutsche Grammophon – the first American to hold the post of Artistic Director in its hundred-year history. Highlights of Fine's producing career include work with Andrea Bocelli, the Vienna Philharmonic, and the London Symphony. Fine will premiere the chamber orchestra version of his "Suite For Strings" with the Arkansas Symphony Orchestra on its Intimate Neighborhood Concerts Series at 7:00 p.m. on January 21 at St. James United Methodist Church. *In partnership with the Arkansas Symphony Orchestra As a composer Michael Fine scores are born from his improvisations on the piano and are nourished by his travels and his readings: his music derives from a poetic imagination and carries therefore lots of visual evocations. 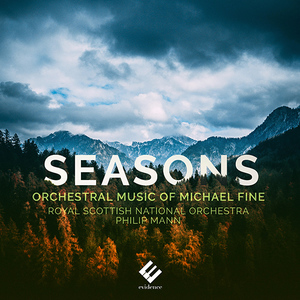 On his latest recording - Seasons, Fine presents music inspired by place as diverse as Korea and its palaces (At the Gate) to Scotland and the writer Alexander McCall Smith (Brother Fox), the world and its landscapes pass by over the seasons (Seasonal Rites) as you listen to it. 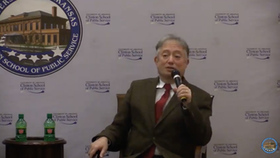 Arkansas Symphony Orchestra Director Phillip Mann moderates a wide-reaching discussion with Fine. Watch the attached discussion.